2018 Leadership Council is part of WildCat Weekend on Friday, September 21-Sunday, September 23. Join fellow alumnae and alumni, families, and students for a weekend of networking, updates, educational workshops, and fun activities. Reconnect with fellow alums and experience a lively College weekend! Our alumnae and alumni volunteers work to make Randolph College stronger by referring the best and brightest students, encouraging support for scholarships and innovative academic programs, and sharing with others what Vita abundantior means in your local communities. 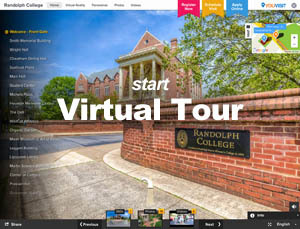 Don’t miss this opportunity to return to campus and celebrate the history and future of Randolph College! If you are unable to travel to Lynchburg, please register and join us remotely for the Association Membership Meeting, Presidential College Update, Volunteer Workshops, and/or the College Academic Program Update. You can also mail or call in your registration information by Wednesday, September 12, 2018. If you are unable to travel to Lynchburg, please register and join us remotely for the Association Membership Meeting, Presidential College Update, Volunteer Workshops, and the College Academic Program Update. Registration will open on August 1, 2018. By registering and providing an e-mail address and preferred telephone number, you will be enrolled in the teleconference. Details of how to connect will be sent the week of the event. There is no registration fee to attend Leadership Council, and the Association will cover the cost of your meals for Friday dinner, Saturday breakfast, and Saturday lunch. You will be on your own for the Homecoming Tailgate, DJ Dance Party, and Sunday Campus Brunch. $105 daily room rate plus taxes and fees. Mention code: RMH for special rate. $197 daily room rate plus taxes and fees. Starting at $149 daily room rate plus taxes and fees. College shuttles will be provided Saturday morning from the hotels to the College with return trips in the afternoon and late evening. There is no shuttle service offered on Friday or Sunday. Comfort is the key when you are on campus all day for meetings and workshops.